True Value… Is Based On Three Main Elements! Most readers would probably assume for the purposes of blogging on a construction industry website such as this that we would limit the discussion on Value exclusively to the estimated monetary worth something has. But since this is such an obvious consideration, when exchanging goods & services for money, let’s also reflect on the alternative definitions of Value which impact the emotional perspectives shaping the decisions we make as well. 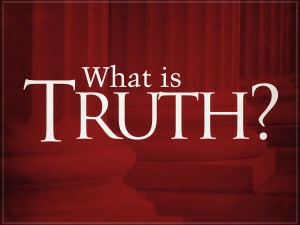 A person’s principles or standards of behavior; one’s judgment of what is important in his or her life. Why is this important when negotiating a contract? Why would anyone knowingly pay more for something being purchased, or be willing to take less in exchange for something they’re selling? Because Value isn’t based solely on how much money a given item or service is worth to either party involved. Haven’t we all heard of the expression that, in some situations, ‘Money” is no object, or of any concern? The intrinsic value of something then, is really its perceived value, even though this may differ from its literal monetary worth in the market place. So how do we determine true value. The answer is that it will be different for everyone, but always based on these three main variables. Let us consider each individually. Again, this is the most fundamental way we calculate the worth or value of something. This too though is relative, and can often be effected by region, or supply & demand, which in turn is effected by social trends and branding influence. 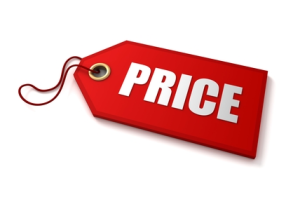 The importance of pricing is that it serve as a quantifiable measurement to establish an agreed upon starting point of negotiation. Many times it will end up being the strongest reason for determining a “Walk Way” point to the sale, but not always. The following two variables are like left and right hands to one another, often appearing to overlap in definition, and be inextricably linked in effect. How each of these two factors are perceived or leveraged in negotiation will have the greatest impact on the intrinsic value of any agreement relative to pricing. 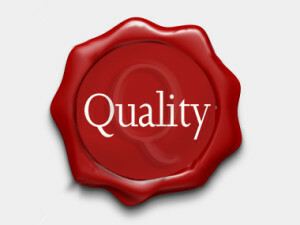 Quality is the measured standard in degrees of excellence that something has when compared to another of similar kind. Things that are cheap, poor, limited, etc. are thought to be inexpensive, where as things that are of a higher quality are thought to be better, richer, dimensional, etc., and will therefore command greater worth in value. These standards can be applied to both products and services alike. Quality products are known or perceived to be well made, and quality service is associated with higher levels of craftsmanship and attention to detail. 1 ) If the goal is to go fast for a short period of time, you may be able to achieve that outcome using cheaper quality parts. 2) Workers on a swing shift assembly line may have more accidents or rejected product but the amount of units produced in a single 24 hour period is almost double the volume. 3) Rush orders or Overnight deliveries may not be handled any different, but they arrive faster than normal. 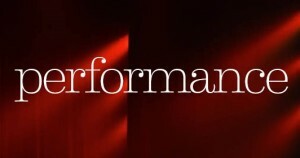 The bottom line is that there may be a special performance need that increases a contract’s perceive value apart from a difference in quality. In the real world of “equitable” win-win business transactions, it is understood that out of the three choices (Price, Quality, & Performance) the consumer may select any two for determining true value relative to the final cost. As an example, you’re not likely to ever get a solid gold faucet installed on new years eve for the lowest price in town. The only ways that might happen could be due to owing someone a “Big” favor, or perhaps gifting a family member with a great deal, maybe something illegal is happening, or a poor business man heading for a financial collapse. Do you really need it repaired that night? Well then, you’ll likely be paying more for the special night’s effort. Just have to own the last gold faucet Fabergé ever made? It’s gonna cost you! Or maybe you’re willing to wait and install a plastic faucet anytime in the next month? Then the price will come down considerably. 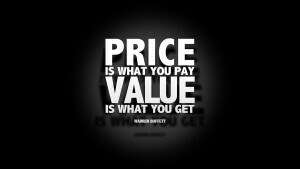 Value is different for every individual and will vary in perception as the parameters of the situation changes as well. So, it’s important that buyers understand what they want, and that sellers understand what they provide. This way each party is receiving their true value relative to the agreed upon bid. Do you, the client, want high quality & great performance? Be reasonable, and expect to pay more. If you , as the contractor know that your client is giving a face lift to some rental property, don’t suggest installing expensive Berber carpeting in a low income apartment complex. Are you the handyman type known to have moderate skills without an eye for attention to detail? Don’t expect to get the contract after submitting the highest bid. On the other hand, are you a licensed professional craftsman providing high quality and excellent performance? Then don’t undersell the value of your services. Both contractors and clients should be clear on what needs are truly valuable for the success of your project. Otherwise you may end up paying the price… that you really didn’t want after all. Thanks for reading. I’m Thump’r with Blue Collar Builders.